• The Report Concludes: The Chinese regime is performing 60,000 to 100,000 transplants per year (as opposed to the official Chinese claim of 10,000 per year). 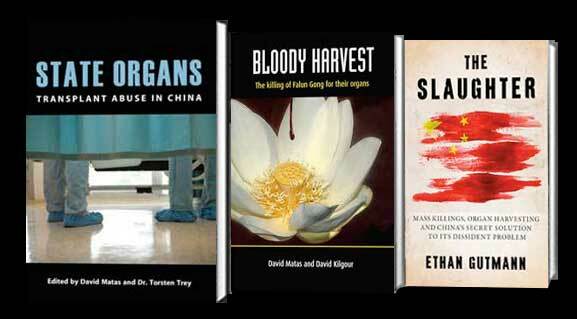 • Primary organ source: Uyghurs, Tibetans, House Christians and primarily, Falun Gong practitioners. Ethan Gutmann comments on the recent Taiwanese media frenzy over his latest book, “The Slaughter,” and clarifies any final ambiguities over his interview with Taipei’s new mayor, Dr. Ko Wen-je. Ethan Gutmann’s first book, Losing the New China won the 2005 “Spirit of Tiananmen Award.” Back in the day Ethan Gutmann was a senior counselor at APCO China, the premier public affairs firm in Beijing. As chief investigator for the AV television network in Washington DC during the 1990s, he directed the flagship “American Investigator” documentary series. At the Brookings Institution during the 1980s, he crunched numbers as a foreign policy analyst, and he completed my BA and a Master of International Affairs at Columbia University. Ethan Gutmann has written for the Asian Wall Street Journal, Investor’s Business Daily, The Weekly Standard, National Review, World Affairs Journal, and other publications. My article “The Xinjiang Procedure” received the highly coveted “Sidney Award” from David Brooks at The New York Times and won a Browser “Leaderboard” competition for the most popular long-form essay of the year. The research for my current, almost-completed, book The Slaughter was supported by the Earhart Foundation, the Peder Wallenberg family, and the National Endowment for Democracy. Ethan Gutmann’s research into Chinese Internet surveillance, the Laogai System, and the intersection of Western business with Chinese security objectives has received sustained attention for almost 15 years now. Ethan Gutmann has provided testimony and briefings to Congress, the Central Intelligence Agency, Geneva’s International Society for Human Rights, the United Nations, and the parliaments of Brussels, Ottawa, and Canberra. More recently its been Dublin, Edinburgh, Cardiff and Westminster. Ethan Gutmann has spoken at universities and press clubs around the world. Once a year he’s asked to supply soundbites for a television network: PBS, CNN, BBC, or CNBC.